The United Cutlery M48 Highland Sgian takes the traditional Scottish dagger and gives it a sleek and modern look. This dagger really has a tactical feel to it. It has a 5 1/4 inch 2Cr13 cast stainless steel blade that has been black oxide coated and has a satin surface grind. 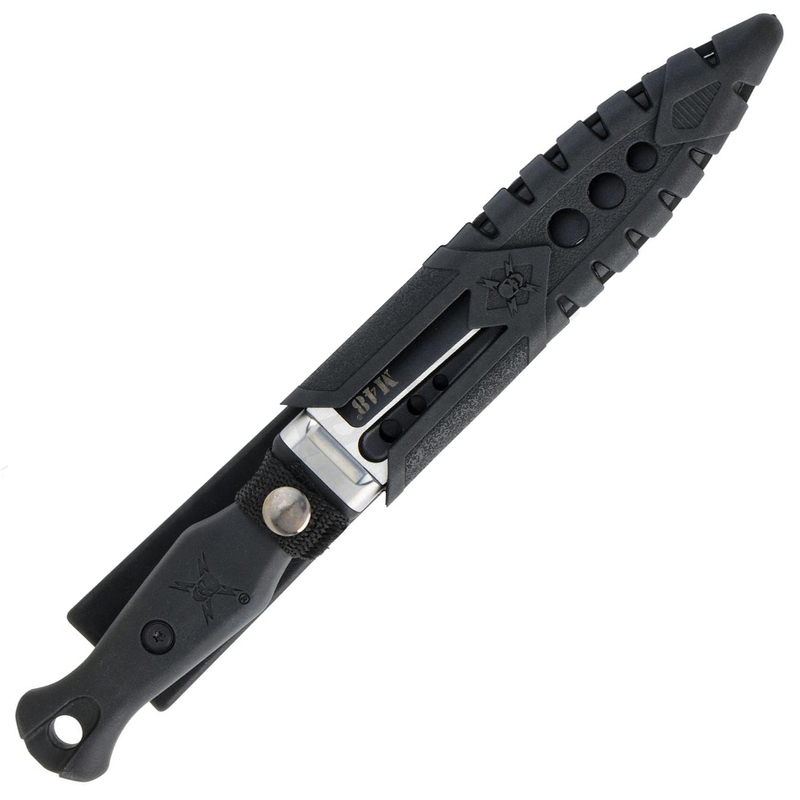 The blade has three through holes in it and it goes into a stainless steel guard. 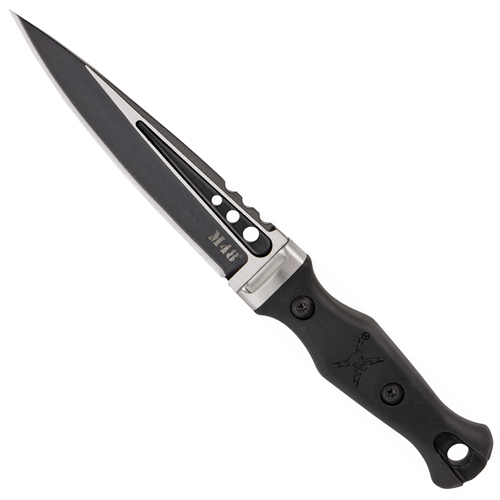 The handle is black TPR that is molded to fit comfortably in your hand and it has the traditional M48 logo. A TPU sheath with a polypropylene inner cover is included to house the blade and a double layered nylon strap keeps it firmly in place. Strap the included sheath on your belt and you will be ready to go.